▷ Subaru Outback/Legacy update. Speedcam for your maps. Download update. Free custom download. 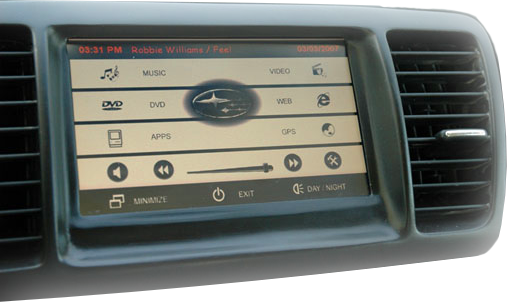 In order to update your GPS device: Subaru Outback/Legacy with the latest update, follow next instructions. First of all, be sure you got the update file for your Subaru Outback/Legacy device, downloaded from SpeedcamUpdates.com. In order to complete your installation you have to choose your installation method depending on the capabilities of your Subaru Outback/Legacy device. If your device supports usb connection, you have to connect it to your PC. Once your device is detected by your PC, look for in the new storage drive, the folder containing the information we want to update. Usually it is contained in ".../CONTENT/speedcam". If your device uses SD memory card, extract it, and plug it into your PC to have access to the folders. Look for the folder ".../CONTENT/speedcam". Remove any previously file contained in the ".../CONTENT/speedcam" folder. (txt file, spud file, spb file ) Copy the unzipped files into that folder (usually it should be a txt file). Then restart your GPS device. The new spud and spb files will be created by the device. Installation is complete.